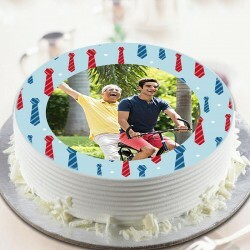 Make your every occasion special with our customizable photo cakes online. Put life in every occasion by adding beautifully designed photos that are edible and visually appealing. Create a life-long memory with MyFlowerTree. 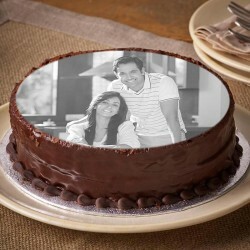 Buy the photo cakes for your loved ones and spread happiness galore! If there is one person who is entitled to all the happiness in the world it is your father. He is the person who worked over time just to make sure he made enough to provide for you. Your father is the person who was there to provide support when you were struggling to ride a bike. It is time to thank him for these little times of happiness and for endless efforts he has put in to bring you up the way you are on this Father's Day. A cake is a sweet delight that we all relish. A decadent, gooey cake that you choose for your father in the flavour he loves can be a wonderful way of wishing him on the special occasion. 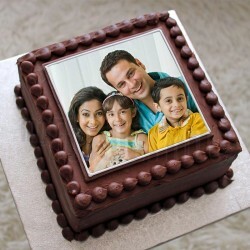 We recommend that you add a distinct personality to Father's Day wishes with a father's day photo cake. 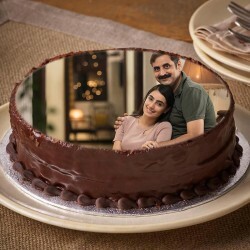 Imagine the signs of elation of your dad's face when he sees the happy fathers day cake photo, which will bring back the warm memories that you two have shared during your childhood. 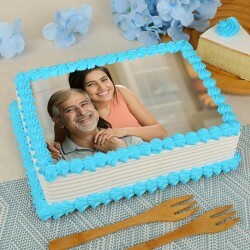 Amidst a range of other varied beautiful cakes that you can choose for the occasion of Father's day, we also do specialised photo cakes that are easily customisable according to the requirements of the customer. 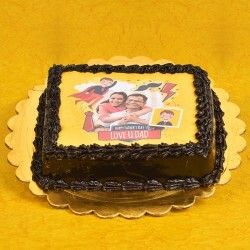 Just choose a desirable customized cake for Dad and upload a picture that you want printed on the cake. 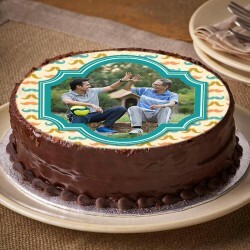 After you complete the ordering process and provide necessary details that are required, the chosen cake will be delivered to the address mentioned, while you sit back in front of your computer screen awaiting a thank you call from your hero. No matter what a picky eater your father is, we cater to orders as specific as 1 kg fathers day butterscotch photo cake. Our Photo Square Pineapple Cake is just the flavourful delight that your father will love. 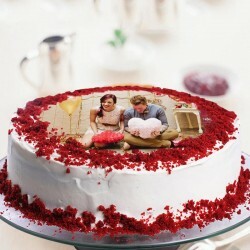 Why Choose MyFlowerTree for Photo Cake Delivery? 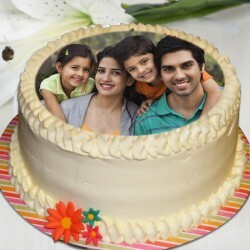 MyFlowerTree offers Fathers Day Photo Cake Online Delivery India and is renowned for its excellent service quality. 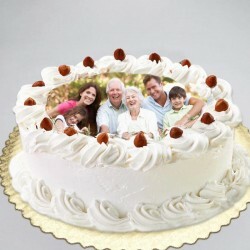 We have a wide range of photo cakes for you to choose from, which are delicious and are delivered fresh to your home. We source cakes from bakeries which are famous for their taste and prepare food stuff in hygienic environments. 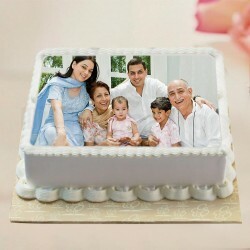 The range of photo cakes we offer differ in price and you are likely to find one that suits your budget just perfectly. We value the immense trust that our customers place when they order a photo cake from us and thus ensure timely delivery of the cakes. 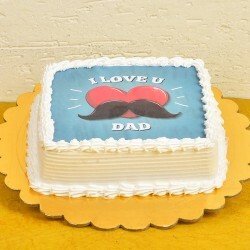 Greet your father with immense affection by sending a photo cake his way and combine it with other sweet nothings for MyFlowerTree website to make it all the more special. 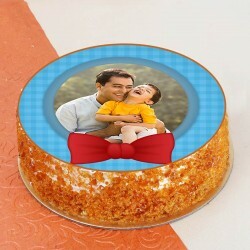 You can also choose a Photo Cake combo which is an assortment of gifts and photo cake that will please your dad. Happy Father's day to him! Products in this category have been rated 4.9 out of 5 based on 125 reviews.